The reporting of sports injuries is interesting to watch. There are often many falsehoods given to the media, and the truth may not surface until the following season or even later. There is often a rush to get some information out immediately — even before the player has been assessed by a professional. Then there are almost always “too good to be true” predictions about when the player may return. Last year, the San Francisco 49ers’ Colin Kaepernick joked that he had a “hangnail on his little toe.” As it turns out, the starting quarterback suffered from a much more serious foot injury — a chipped bone and ruptured capsule in the ball of his foot! Would you play through a broken foot and ruptured capsule? This guy did! How Did Colin Kaepernick’s Foot Injury Happen? The injury occurred during the second week of the 2013 season. Colin Kaepernick was running down the sideline, went down, and a Seattle Seahawks defender landed on his foot. The injury hurt his ability to push off and accelerate. Despite the injury and being on the injury report with “a foot issue” starting in week three, he continued to play on it for several weeks. The coach modified the plays to avoid carrying and possible hits to the QB. Kaepernick told the Sacramento Bee, “It was something that was always there… never spoke about it, never said anything about it because you’re a football player; you play through pain. Unless you’re being carted off, you should be on the field. If it’s something you can play through, that’s what you do.” Sadly, sports medicine doctors see many a career end that way. It all depends on how and where the break happens. 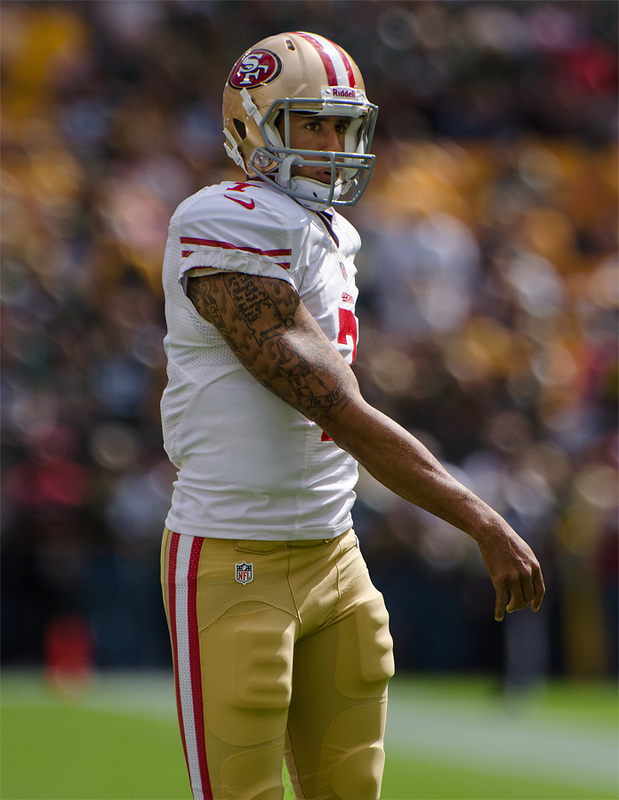 Fortunately, Kaepernick’s foot injury did not require surgery, and he is enjoying an excellent start to the 2014 season. So San Francisco fans have a lot to look forward to this year: a great coach, a stout defense, a new stadium offering the finest in Wifi and mobile technology, and a healthy return for their star QB! Chipped Bones, Ruptured Capsules, and Metatarsalgia — Oh My! “Metatarsalgia” refers to pain in the ball of the foot. The “capsule” Kaepernick injured in his forefoot was a tough, cylindrical-shaped band of connective tissue that surrounds the metatarsal and toe bones where they come together to form a joint. The constant accelerations of football players often cause inflammation and a weakening of tissue here. Capsulitis (inflammation) in the great toe joint is referred to as “turf toe.” In this particular case, the injury was to the ball of the foot where a traumatic injury — bone fracture — occurred, causing inflammation and the resulting capsule tear. A severe rupture can destabilize the entire foot and even lead to misalignment of the toes if it’s not treated appropriately. The Center for Podiatric Care & Sports Medicine in NYC has experience treating amateur and professional athletes who have this condition, as well as many others. Our team consists of board-certified podiatrists, experienced podiatric surgeons, physical therapists, and sports medicine doctors. Our goals are simple: correct diagnosis, pain relief, and active recovery. We want to get you back into the game as soon as possible, without loss of skill, strength, or stamina. We begin with conservative measures before considering surgical interventions, but we can also offer you the latest technology the sports medicine field has to offer. Book your appointment here. » Are Youth Sports Taking over Your Kid’s Life?